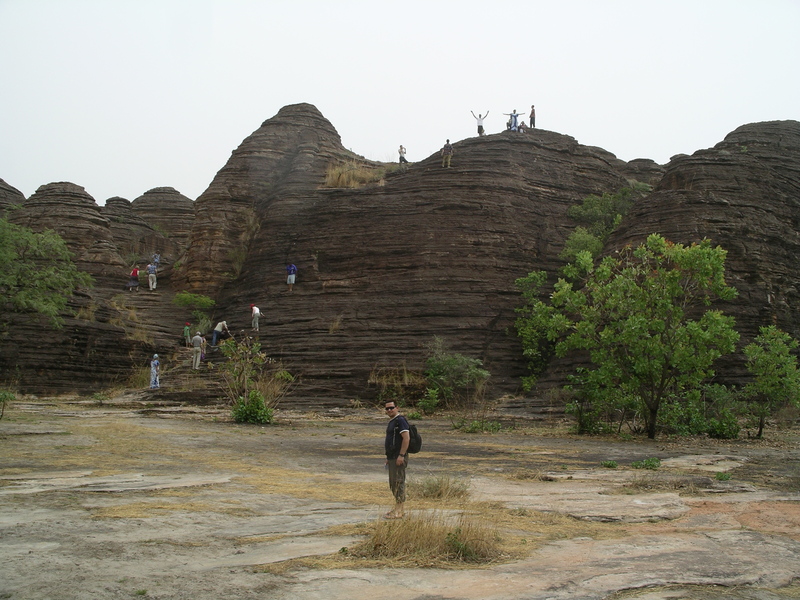 The Domes of Fabedougou must be one of my favourite places in Burkina Faso. 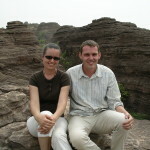 They are located in the south-west of the country, in a desolate spot between Bobo Dioulasso and Banfoura. 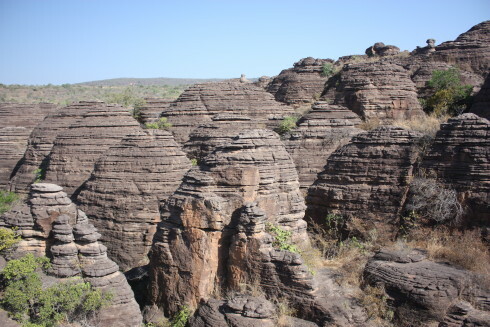 These striking egg-shaped formations are very similar to the Bungle Bungles in Australia. They date back 1.8 billion years and were probably covered by water for much of their history, hence the peculiar layering of the rock. I came here with Charlie the day after we got engaged back in 2006, and again two years later as part of a larger group. 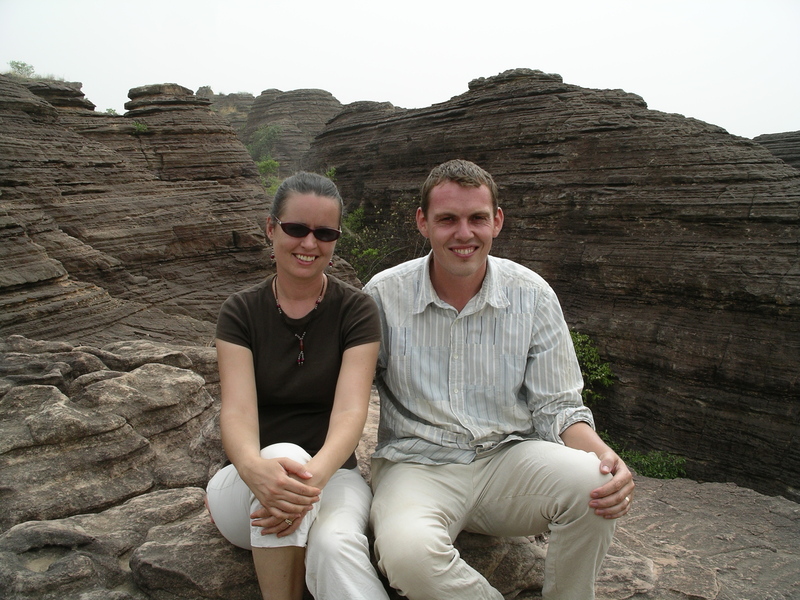 The convenient hand and footholds all the way up the domes make them very easy to climb, and the view from the top is breathtaking. 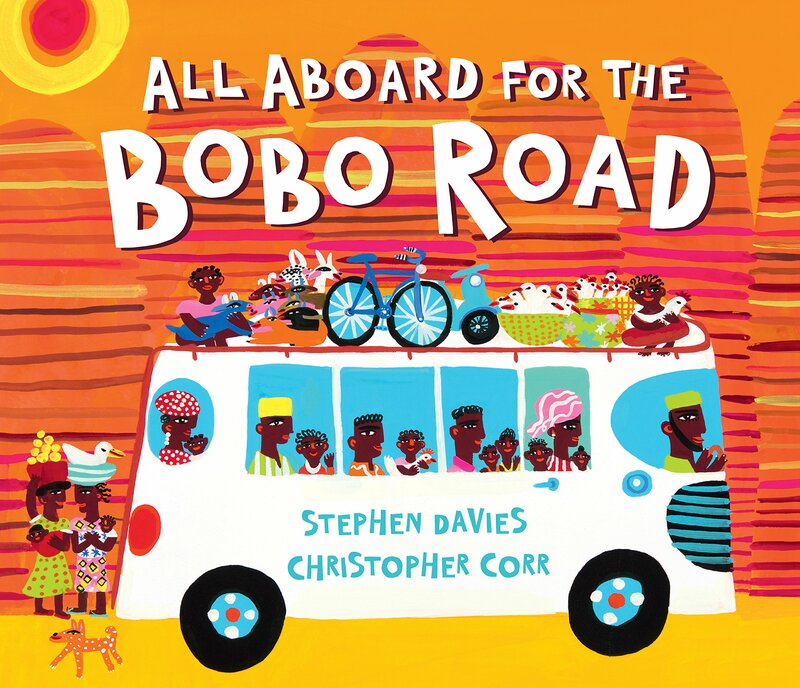 For our forthcoming picture book ALL ABOARD FOR THE BOBO ROAD, illustrator Christopher Corr has painted the Domes of Fabedougou beautifully, both on the cover of the book and on one of the inside spreads. 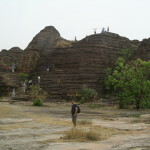 Pink, purple, brown, ochre and yellow stripes cut across the orange domes of rock. Once again, Chris has given us a real feast for the eyes. 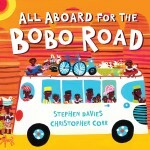 ALL ABOARD FOR THE BOBO ROAD comes out in the UK on 7 April 2016, published by Andersen Press. So fascinating! I would love to see those. 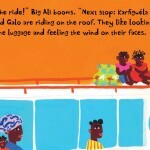 Can’t wait to get another one of your terrific picture books to read with my kids Steve! 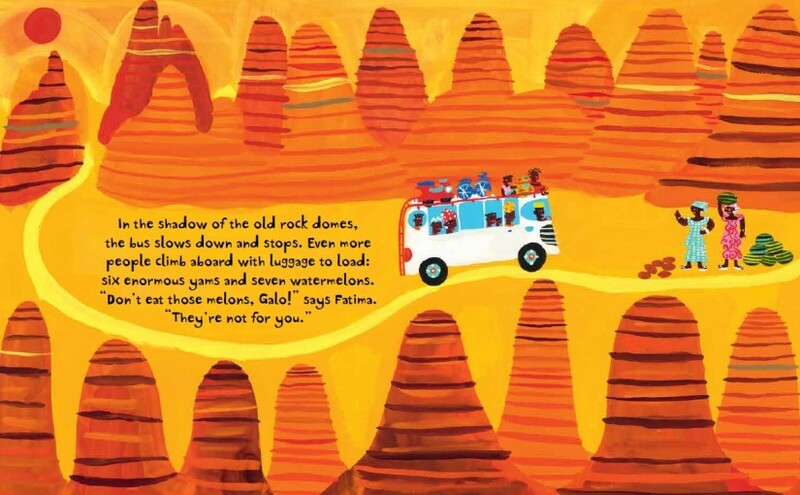 It’s true, having seen both – the Domes of Fabedougou and Australian Bungle Bungles are VERY similar!